Physio Direct is a service that provides a physiotherapy consultation and advice by telephone by a senior chartered physiotherapist. The service is accessible to employees if an agreement is in place with your employer. 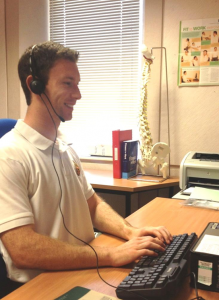 To check if you are eligible for a physio direct consultation or to book an appointment please call 0117 3423400. What conditions does the service cover? Please note that Physio Direct is not an emergency service. If you have sustained a serious injury or suspect a broken bone you should visit your nearest Accident and Emergency department. If you require medication you should contact your GP. Please ring Occupational Health on 0117 342 3400 to book a time slot for your telephone consultation. A Senior Chartered HCPC registered physiotherapist will then contact you during the pre-arranged time slot. What are the aims and benefits? Prompt advice and exercise prescription to assist with early recovery from musculoskeletal symptoms. Assistance with symptoms management via telephone consultation with referral on for face to face physiotherapy as required.